The True Gossip Home / JONAS BROTHERS TO HOST TEEN CHOICE AWARDS! JONAS BROTHERS TO HOST TEEN CHOICE AWARDS! 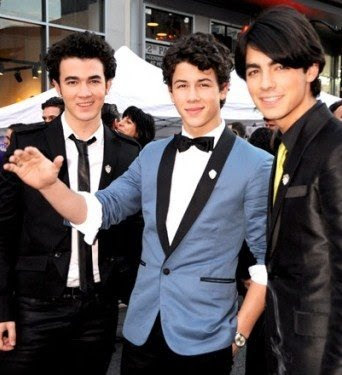 The Jonas Brothers announced they will host and perform at the Teen Choice Awards 2009! The show will air August 10 on FOX at 8:00 PM ET/ PT. I'm sure they will be hilarious, they're great actors! Be sure to watch their new comedy, JONAS, premiering May 2 on Disney Channel!